If you build the interior of this Tiger kit, there is a problem inside its turret. Early and Mid Tigers had a metal frame surrounding the loader's hatch. It was bolted to the turret roof. It also existed in the first few Late Tigers, for example Wittmann's "007". Under the roof, the nuts were recessed into holes in the armour. This photo was taken inside a Tiger. 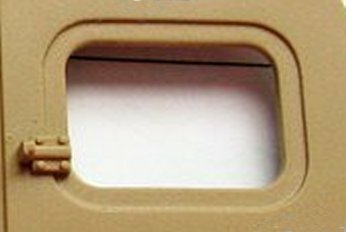 Notice the notch at each corner of the hole, for the locking mechanism. This is the same area in Rye Field's kit. The nuts are not represented and the notches are missing. 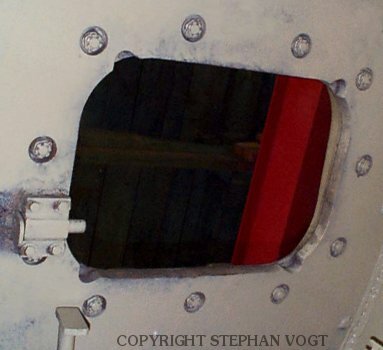 An inaccurate recess is placed around the hatch.